Idaho Education News is a comprehensive collection of online sources that provides information about public education in Idaho. The website, IdahoEdNews.org, features stories, news and commentary about education policies and practices and the people who create and implement them. Information also is distributed through social media, a data website, IdahoEdTrends.org, and annual print products. Idaho Education News is a public awareness service where parents, patrons, educators and lawmakers can find the most useful information on issues that affect Idaho’s children and their future. Idaho Education News reports primarily on Idaho public education, but also reports on national education issues and their impact on Idaho. Content is free to all users. Our stories, photos and videos are available for distribution on any website, as a public awareness service, so long as proper attribution is included. Idaho Education News is a nonprofit supported on grants from the J.A. and Kathryn Albertson Family Foundation, the Education Writers Association and the Solutions Journalism Network. 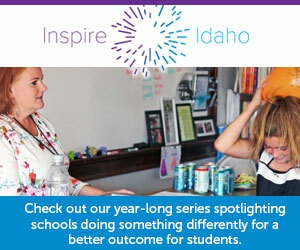 The work of Idaho Education News is independent and nonpartisan. We rely on support from foundations so we are able to give you our content free of a paywall and advertising. Our funders have no editorial influence on our work so we can remain an independent and trusted news source. The goal of Idaho Education News is to hold lawmakers and educators accountable for taxpayer dollars and student achievement. We are seekers of the truth. We demand transparency in government affairs. The mission of Idaho Education News is to produce independent, comprehensive and thoughtful journalism about public education policy and practice in Idaho. Idaho Education News is a public awareness service where parents, patrons, educators and lawmakers can find the most useful information on issues that affect Idaho’s children and their future. We’re all about education. Join the conversation.